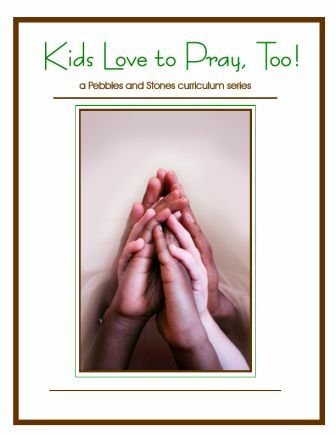 Pebbles & Stones > Resources > Curriculum > Kids Love to Pray Too! These eight, teacher-friendly lessons are designed to encourage a love of prayer. Contains Music CD and Teacher's Resource CD which includes teacher tips, resources, and a reproducible journal booklet.